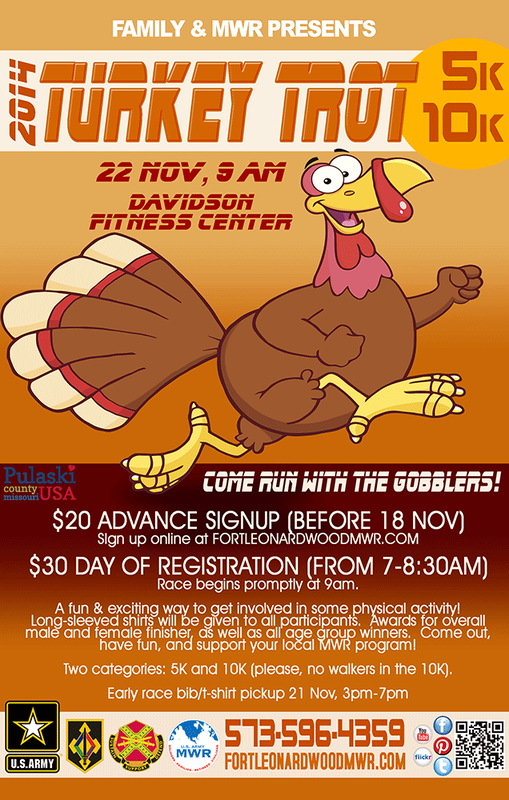 What: Come run with the gobblers! 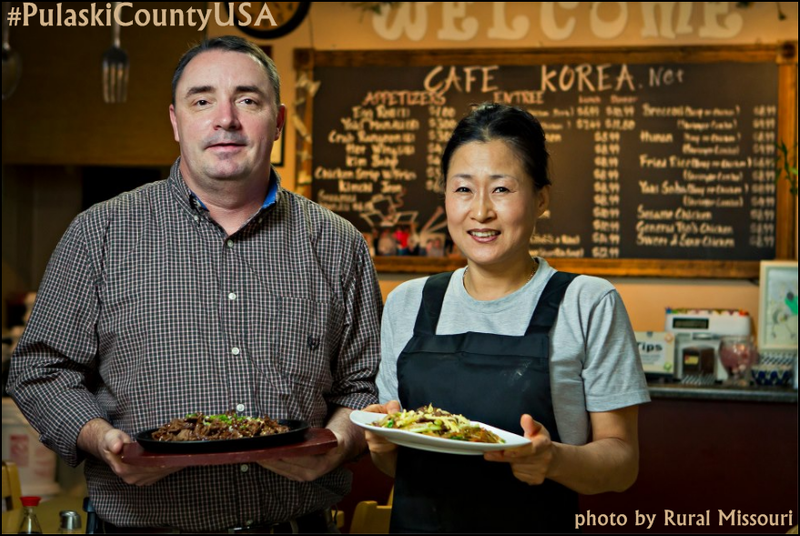 Cafe Korea is one of the many mom and pop joints in St. Robert that are dishing out quality, delicious food! 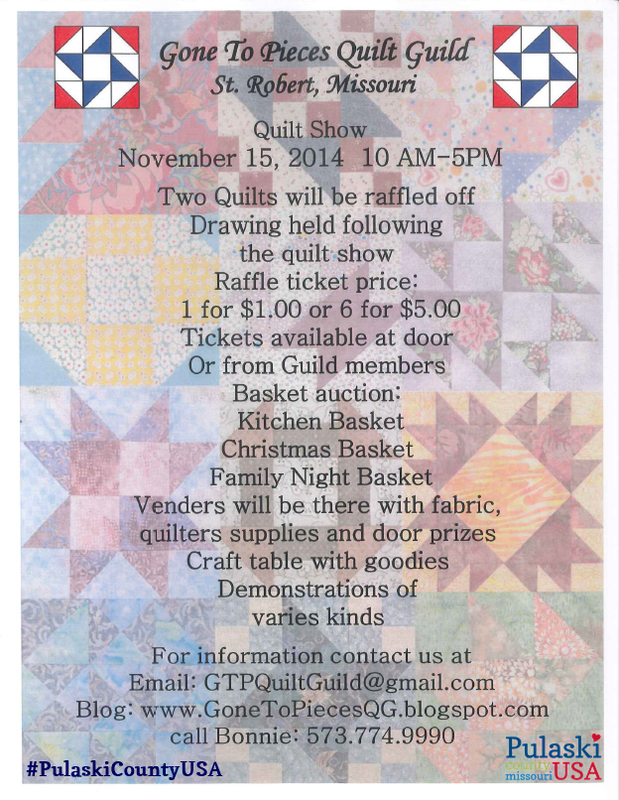 Photo by Rural Missouri. 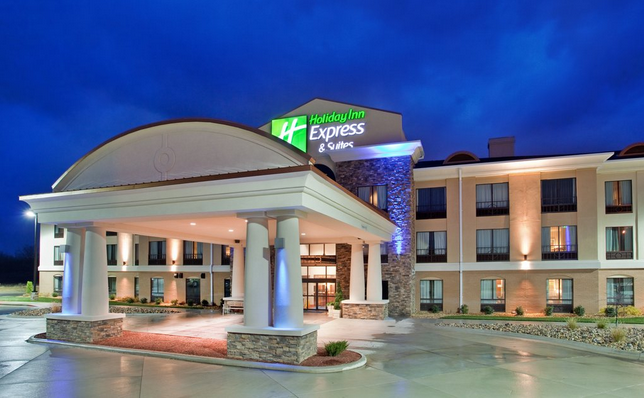 Clean, cozy rooms are plentiful in Saint Robert- including many well known brands. 3. George M. Reed Route 66 Roadside Park– George M. Reed Roadside Park on Historic Route 66 in Saint Robert, MO is a throwback to a bygone era. 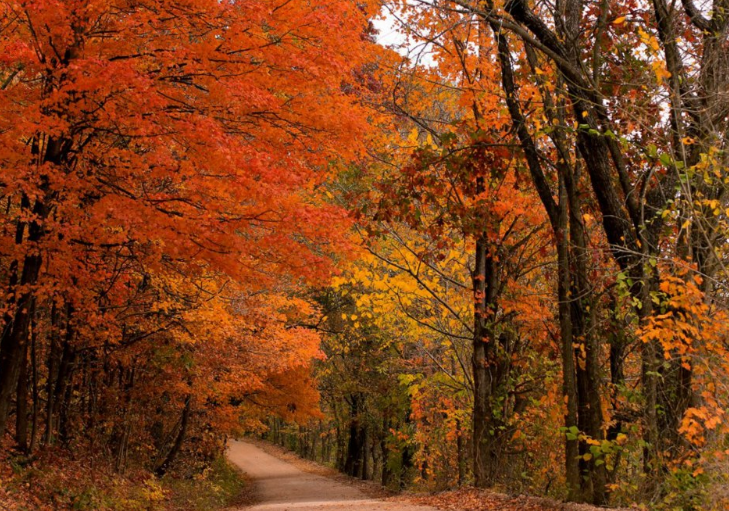 Named after George M. Reed in 1952, this park is the last roadside park on Route 66 in Missouri. 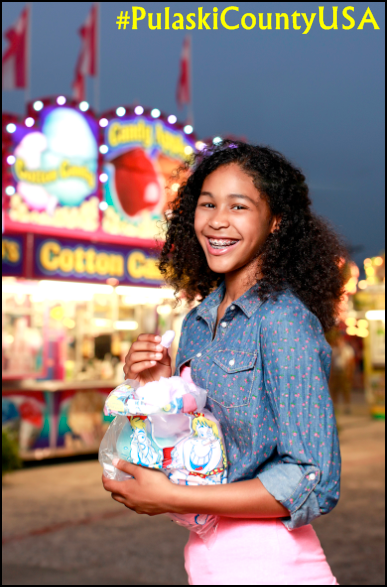 Today’s traveler can make their Route 66 experience authentic with a roadside picnic lunch in the park! Don’t have fixin’s for lunch with you? Many of Saint Robert’s dining establishments offer carryout. 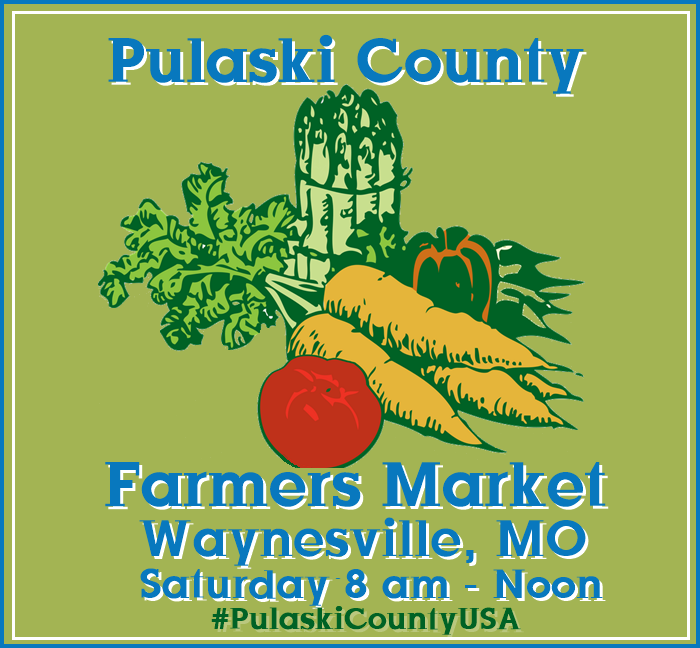 Beth Wiles, Executive Director and Karen Hood, Marketing Relations Manager of Pulaski County Tourism Bureau recently announced that Pulaski County has been selected as the location for the annual conference of the Missouri Outdoor Communicators in September 2016. 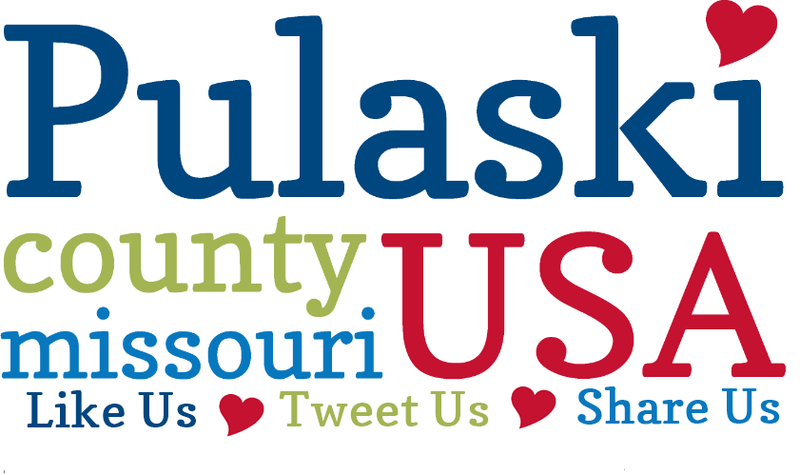 Recently approved at a Board of Directors meeting, the Pulaski County Tourism Bureau made an impression on organizers during the 2014 MOC Conference in Columbia this fall when presenting their destination as a possible site for a future conference. 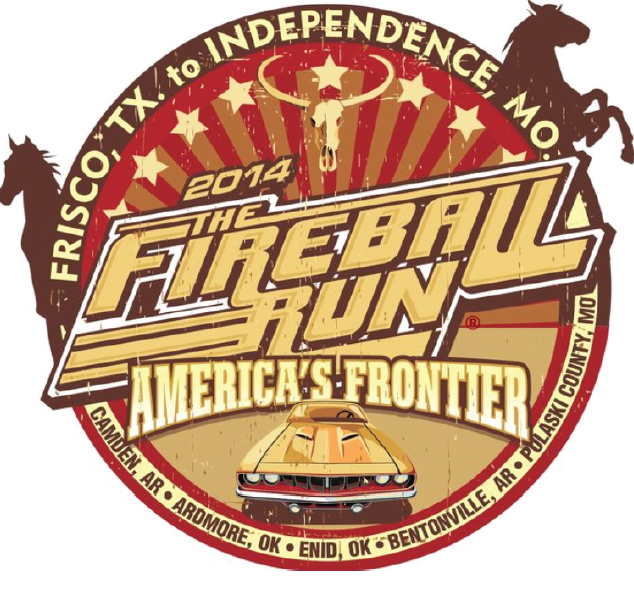 The dates for the conference are September 9-11, 2016. Chartered in 1994, the Missouri Outdoor Communicators’ mission is to advance knowledge of natural resources and related recreational pursuits, to improve MOC members’ communication skills, to promote outdoor communications, to encourage appropriate use and conservation of natural resources and to mentor the next generation of outdoor communicators. 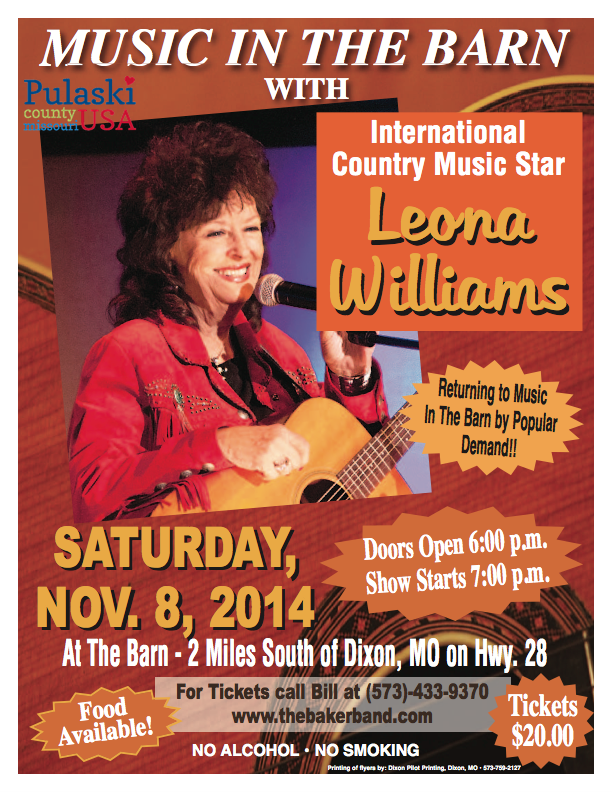 Leona Williams takes the stage in a family friendly concert at The Barn, near Dixon, November 8th.